of God is marching on and the gates of hell cannot prevail against it. home, the husband and his wife decided to rededicate their lives afresh to Jesus. All glory is ascribed to God! The Church in Pakistan is growing at a fast rate. The Lord is adding to their numbers men, women, and children every day. 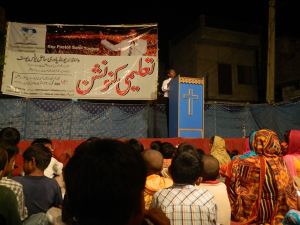 Last month, Pastor Sahil and his team of pastors organized a crusade. 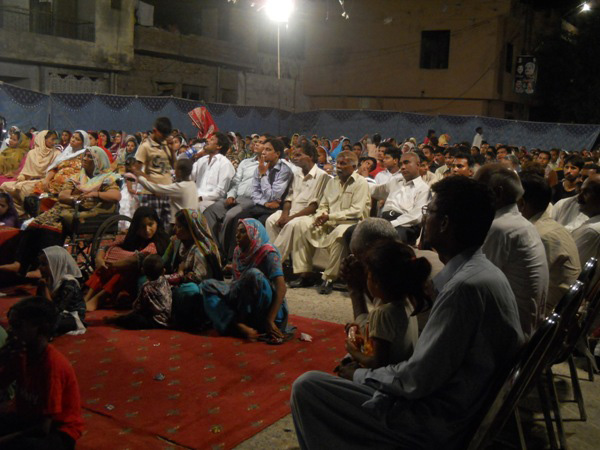 People attended in large numbers and their testimonies of the presence and power of the God. Many souls gave their lives to Christ and there were miraculous healing and restoration. However, in August, the month of monsoon, some of the brothers and sister were visited with a devastating flood. While many people died as a result of the flood, some of our members only lost their houses and properties. About six members of our Church seriously affected. They are now homeless and living in sheltered accommodation. 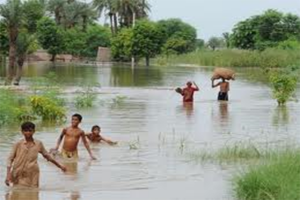 We request that you pray for them because they are in distress, having lost their homes, properties and means of livelihood. 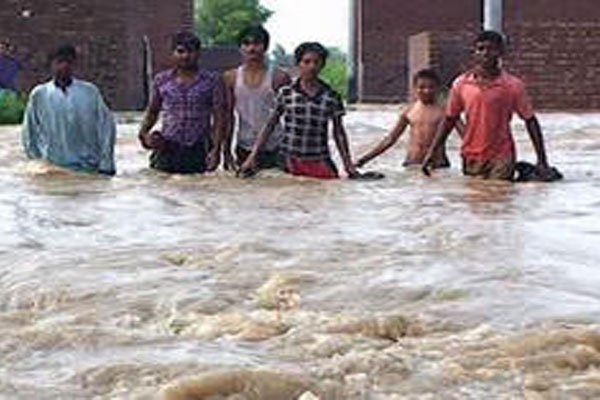 We are also making urgent appeal for support to send relief to the affected brethren. reality, and the plans of Satan to silence and distort the work have been destroyed. for August this year, is now being planned for the first quarter of next year. Please pray that we find funding for both the translation and literacy projects, as we are led to start projects son in Kamanton, IKulu, Adara, Kaningkong, Koro etc . In the last newsletter, I informed you that I am now in fulltime ministry. It could not have been timelier. Now I have more time to focus of the ministry in the UK and overseas, the difference is quite obvious. It is surprising how many things have been left undone over the years, and how structures need to put in place in many of the departments. Please pray that we put our priorities right by the leading of the Holy Spirit. Daily Prophetic Word: For a couple of years now, the Lord has instructed the senior pastor to embark on daily prophetic word via SMS. 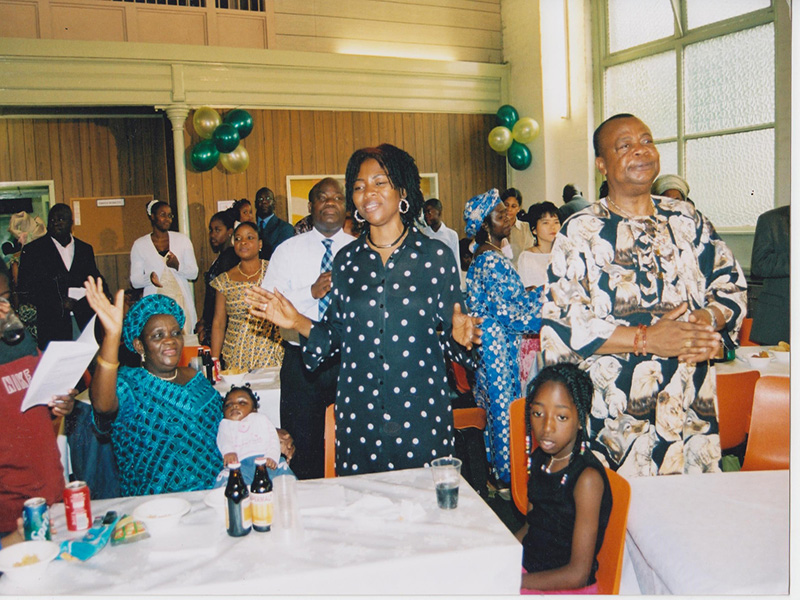 We praise God for the huge impact it has made and is still making to our members, friends, associates and partners. The feedbacks have been phenomenal and assuring. The following are some of the numerous feedbacks. Dear Pastor: Indeed you are a man of God. The message to me this morning made me to realize that God hasn’t forgotten me. Sometimes think he is too far away from me, but reading your message made realize that he is not. Amen. This is timely message. It’s a revelation from the Lord to me. As if you see my heart. God is good! Amen! As you strengthen and encourage us. The Lord himself will strength and encourage you also. Have a blessed day! 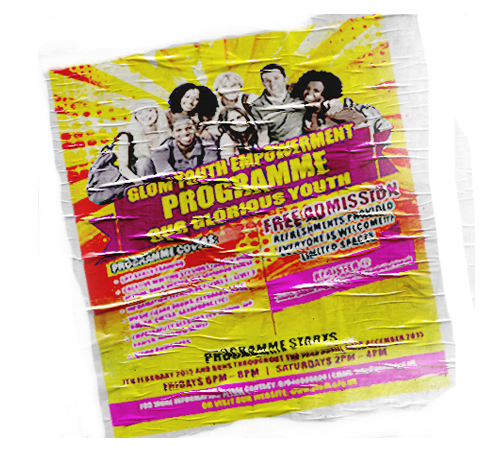 Missions Coordinator in Nigeria: Plans are on the way to appoint a mission’s coordinator in Nigeria. Initial consultations have been made with the coordinator with a view to appointing him soon. If the Lord permits us, he will assume office from January 2014. We also trust God that two other staff will join him as well the first quarter of 2014 on full time or part time basis. Pray that the Lord will guide us to make the right appointments in order to move the vision forward in Nigeria. Glorious Women: The inaugural meeting of the women of wing of our ministry will be launched in the last quarter of the year. Led by my wife, Sister Cecilia Kyari, it is aimed, amongst other things, at raising apostolic an prophetic women of virtue, power and glory for the end time harvest. Please expect an invitation soon! Apostolic and prophetic Network: The apostolic and prophetic network is really firmly rooted and gaining more momentum by God’s grace. In every meeting, the move of the Holy Spirit is different. The Lord has instructed us to devote most of this year into intercession for the nations and the body of Christ, the church. We now have leadership structures in place at both national and international levels, with few more offices to be filled. We currently have the network in the UK, Pakistan and the Republic of Ireland, with the potentials of inaugurating chapters in Nigeria and Ghana. Please pray that the vision shall be very effective, as we build according to the pattern the Lord has revealed to us. If you are led to set up a direct debit or a standing order, the following is our ministry account details. God bless you really good.